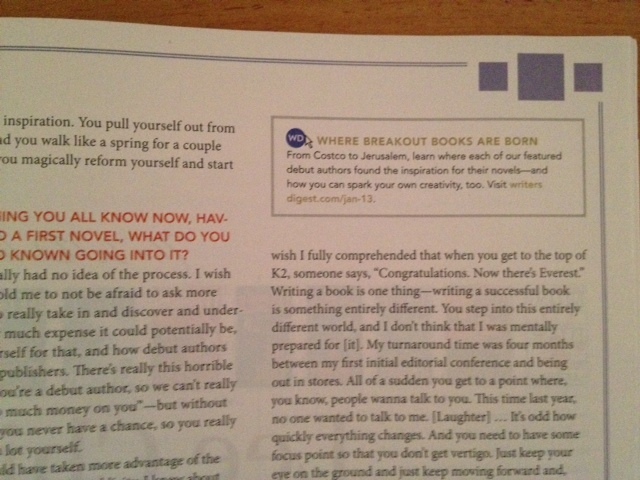 Writer’s Digest is still going strong discussing the craft of writing and I’m thrilled to be in the current January 2013 issue pictured above. 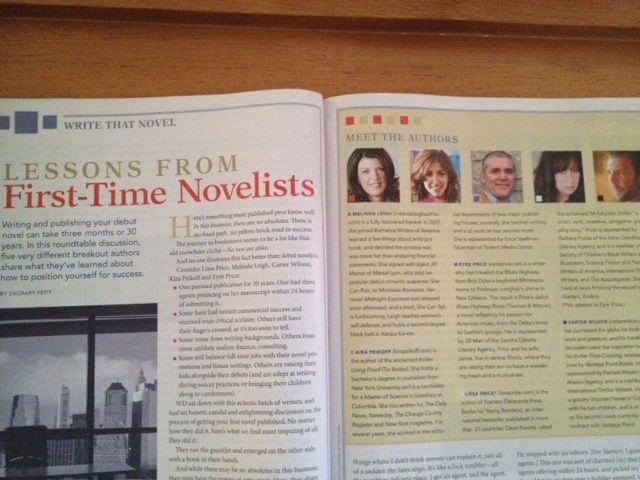 I’m part of a six page spread on five debut authors. 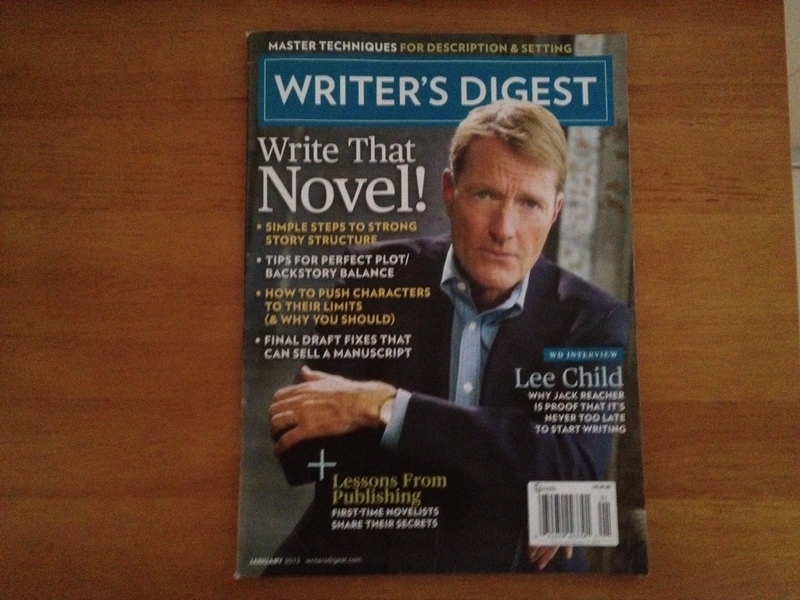 And what a treat to have Lee Child on the cover. You can visit them online or pick up a copy at B&N, some bookstores and newsstands. 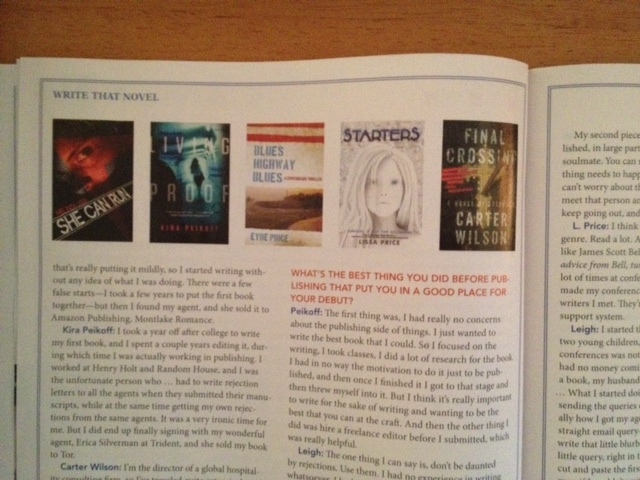 Many thanks to MG fantasy author Laurisa White Keyes who brought the article to my attention. I’m deep into final rewrites of Enders. I get inspiration for scene structure from films and I took out a couple of hours to attend the first screening of Django Unchained. Quentin was there discussing the writing and directing process, so I came away with a lot. Some cast and crew were there, including Jamie Foxx, who gives an amazing – and what had to be difficult – performance. Also brilliant were Waltz, DiCaprio and Jackson (who is so good no one recognizes him at first). I predict at least one Oscar nomination. Tarantino fans will be thrilled (note there is a lot of violence, so this may not be for my younger readers). It has all the fun but also manages to tackle the difficult subject of racism in that time period in a way that we’ve never seen before. I went back to my writing desk filled with inspiration on scene shaping.